In humans, it has been observed that changes in the microbes in the gut can result in poor health. A similar process happens in kelp. Predicted ocean warming and acidification can change microbes on the kelp surface, leading to disease and potentially putting fisheries at risk. New research shows these two processes can cause changes in the microbiome on the surface of large brown seaweed leading to disease-like symptoms. Blistering, bleaching and eventually degradation of the kelp's surface is impacting the species' ability to photosynthesise and potentially survive. This could impact kelp forests around the world. For example, it could contribute to further declines of the 8000km long kelp forests that dominate the bottom half of Australia - known as the Great Southern Reef - potentially affecting all the associated ecosystems, including many species of fish, shellfish, lobster and abalone. "If we lose the kelp forests, we also lose our two biggest fisheries," said Dr Ziggy Marzinelli, lecturer in Marine Temperate Reef Ecology in the School of Life and Environmental Sciences. 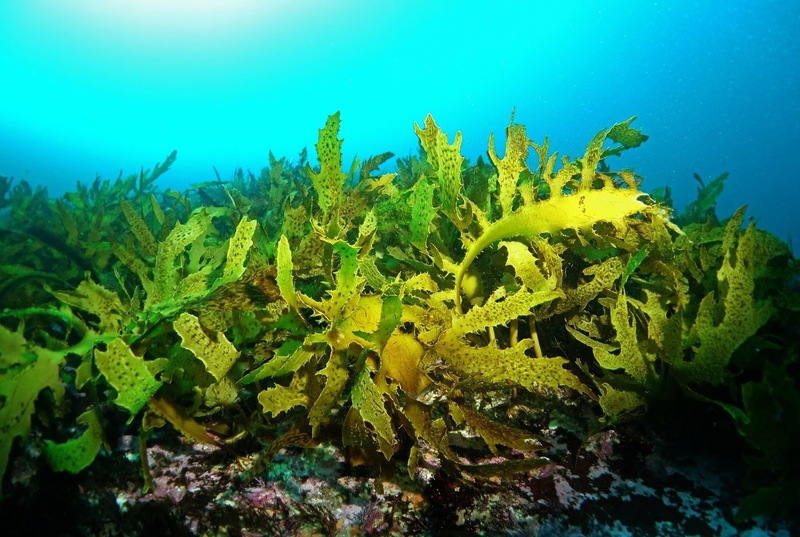 The cooler water kelp forests support a significant component of Australia's fisheries and is estimated to be worth over $10bn to the Australian economy. Published in Proceedings of The Royal Society B, the study tested the independent and interactive effects of ocean warming and acidification on the associated microbiome and condition of the dominant kelp Ecklonia, which is already in steep decline in Australian waters. "Our study shows the effects of climate change can be complex, driven by changes in tiny organisms - microbes - that cannot be seen," Dr Marzinelli said. "Changes in the microbiome impacts the life of the host. When you have disruption to the microbiome in the human gut, it affects your health. It's the same for seaweed. One of the consequences you see is clusters of blisters on the surface of the kelp." The study has implications for the health and resilience of entire marine ecosystems, said Professor Peter Steinberg, director of Sydney Institute of Marine Science, who co-authored the study. "The impact of losing the kelp forests would be the same as cutting down all the trees on the land. All the animals would be affected. It is the same in the oceans. If we lose the physical structure of the habitat, we lose the ecosystems." One surprising aspect of the research showed the microbiome reverted to a healthier state when it was exposed to the most extreme scenarios. "When we tested under warming and acidification conditions predicted in 50 years time, the microbiome reverted to what it was at the start with healthy hosts," said Professor Steinberg. "This was a surprise. It means it is hard to predict what might happen in the most extreme future ocean conditions."